this is the first worksheet of the set to use Past Simple for oral practice. This printable, downloadable handout is intended for high school students, elementary school students and adults at Elementary (A1) and Pre-intermediate (A2) level. 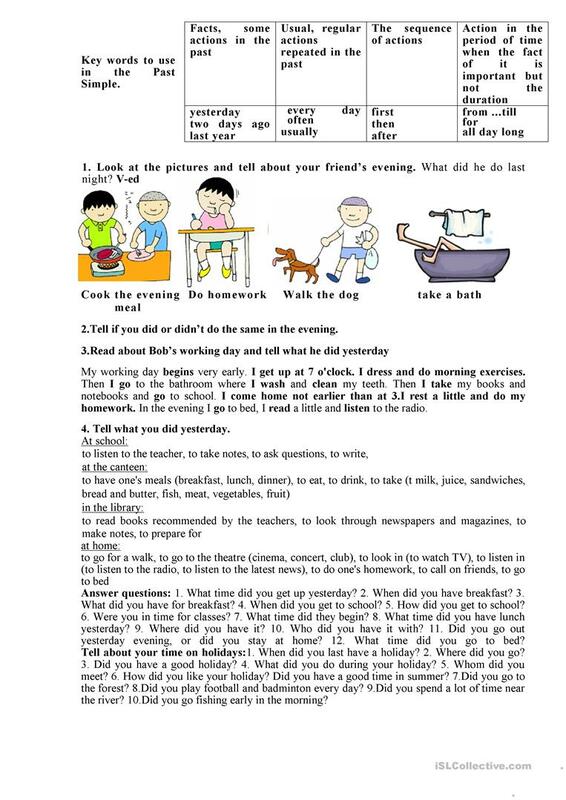 It is a useful material for practising Past simple tense in English, and is excellent for developing your pupils' Speaking and Reading skills.